The beautiful Juanita is a Reticulated Python. 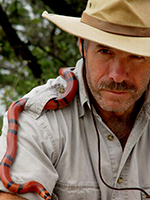 Juanita is a particularly mild-mannered snake, whom Danny regularly uses in the show. Reticulated Pythons are from South East Asia. They are the longest species of snake in the world. Apollo is an Albino Burmese Python. Not only are they particularly beautiful, they are by far the most gentle of all the giant snakes.  Spartacus is an Alligator Snapping Turtle. Not only is he the senior member of the show (yes he is much older than Danny), he is also the undisputed star of the show! He is estimated to be between 80 -100 years old at 110 lbs. 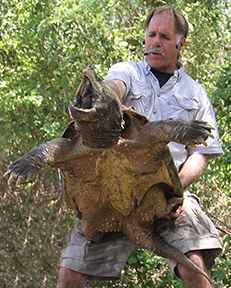 Alligator Snapping Turtles can live over 200 years and weigh over 300 lbs. Spartacus has never failed to impress! 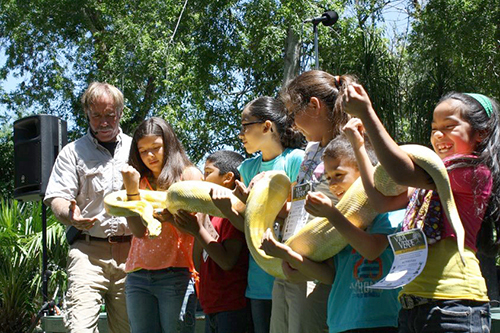 To educate and entertain people of all ages about the often misunderstood world of reptiles. 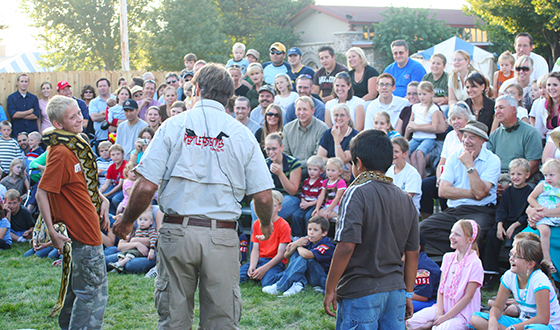 To promote the well being of these amazing creatures, exotic or domestic, and to create an educated awareness in people about reptiles and the important role they play in nature.  To promote the conservation and protection of all things reptilian.